If you want to taste delicious dishes in an original and pleasant environment, you must visit Kharcho at Gudiashvili Street 18. Kharcho is a high-quality restaurant in the center of the city, which is distinguished by its special and different interior. 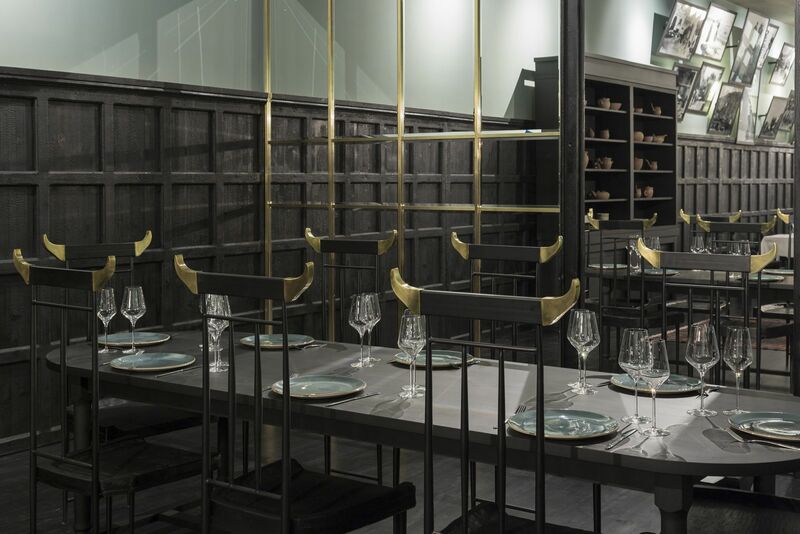 The walls and furniture of the restaurant were specially designed from wood for Kharcho during an eight-month period. In this restaurant, not just furniture and walls, but one of the main details are red lace tissues, which are used for the seats. They is made in London, specially for Kharcho. As we already mentioned, everything is handmade and unique here. 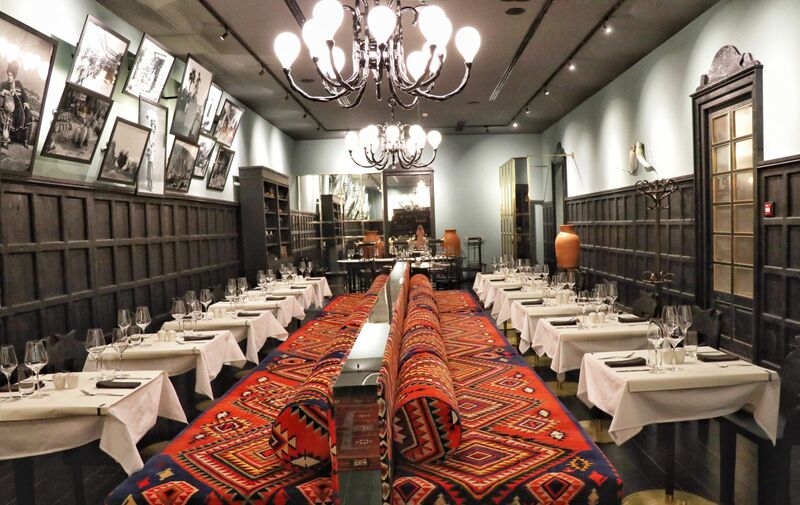 The environment is even more remarkable and cozy because it incorporates Georgian traditional details, which we can see in both the dishes and their vessels. The service is also truely Georgian. Stylish and sophisticated music is harmonized with the interior. 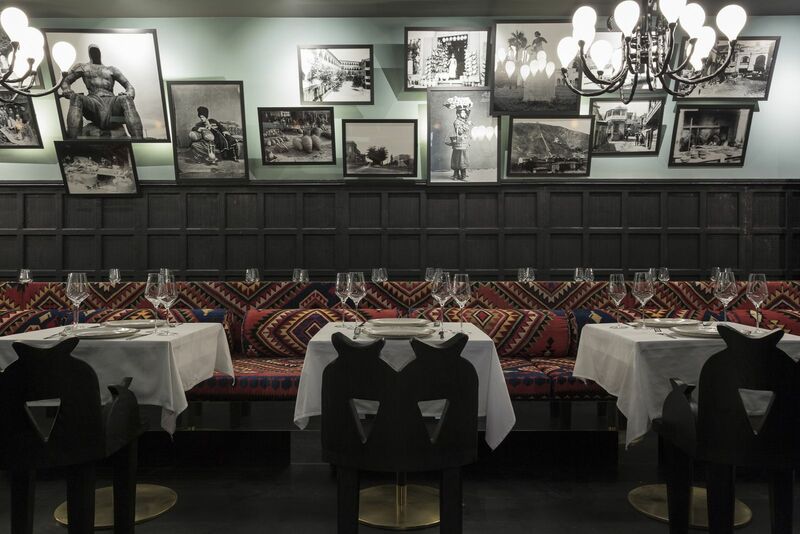 Many guests to Kharcho come in threes, which creates a familial environment. The interior and well-chosen music are crowned with delicious dishes. The menu is carefully selected and made with special love by an experienced Georgian chef who takes into account the tastes and desires of each guest. All the dishes are prepared here, starting from the assortment of pickles, ending with jam or dessert. The distinctness of this place lies in its delicious kharcho. Here there are three types of kharcho: with beef, turkey and shrimp. Unique wine will help you to find the special taste and aroma of Kharcho, and you can find this unique wine in “Art House,” with its wide choice of wine, a merit of the well-known sommelier Nika Aghdgomelashvili. For tourists, as well as for locals, this place leaves the impression of the medieval royal environment. We assure you that you can’t find a similar place in the center of Tbilisi. The only thing left is to visit this wonderful place yourself and taste its delicious dishes!